630mm length. Designed to fit single radius worktops. Matt black finish. 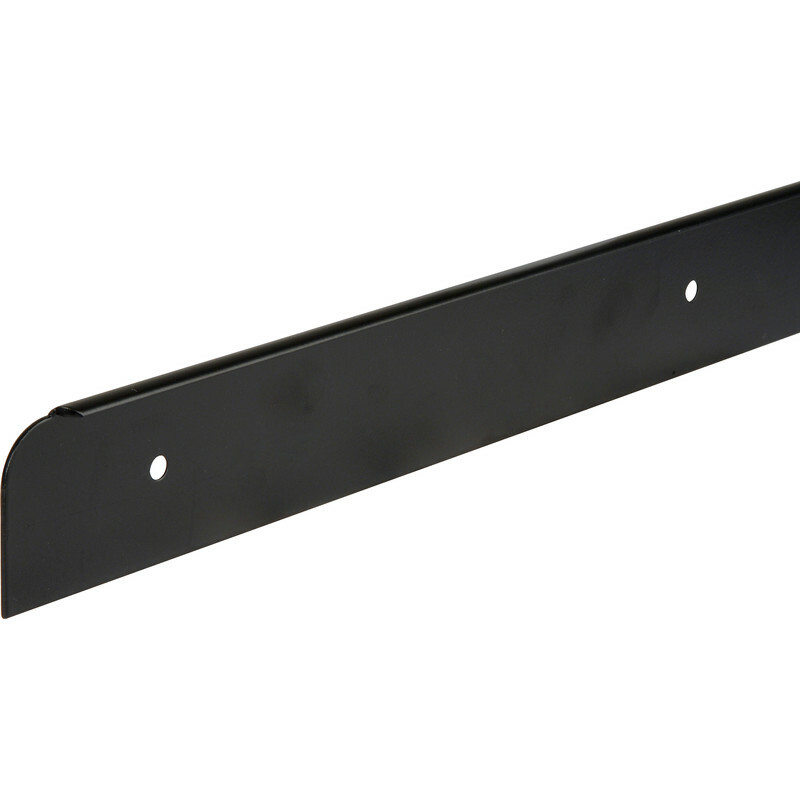 Black Worktop Strip End Cap 38mm is rated 4.7 out of 5 by 18. Rated 2 out of 5 by Wonder1959 from Not the correct profile This was a good price, but the trim end profile did not match the worktop profile. I would have thought that there is a standard radius for 28mm worktops and trims, but perhaps not. As the trim was made of aluminium, I cut it to fit and painted the cut end. It looks OK. Rated 5 out of 5 by Roger the bodger from Does the job Fed up with glued on end trims coming away from the worktop. These were a very cheap alternative & hopefully prove more robust. Very easy to trim to size, & screw into place. Excellent value product,& loooks good. Rated 5 out of 5 by 2monkeys from The best First time. Very pleased at the finish. Easy to use.